Zeroignition, the fire retardant ingredient technology firm, announced findings from its latest study of architects and specifiers. Architects were asked about their understanding of four common terms relating to buildings and fire. 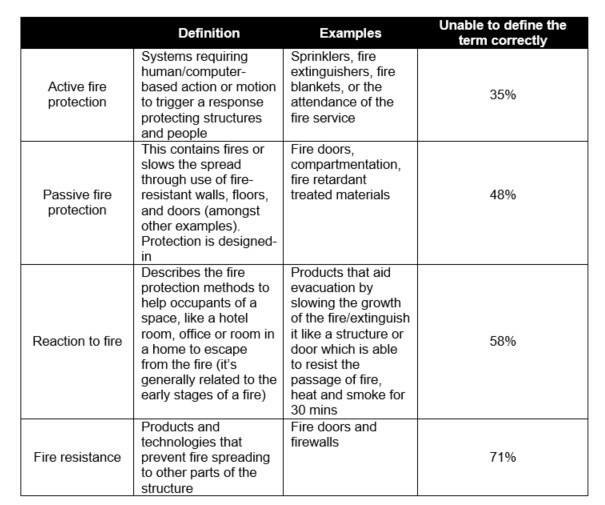 Only 8% were able to correctly define these four basic fire protection terms. 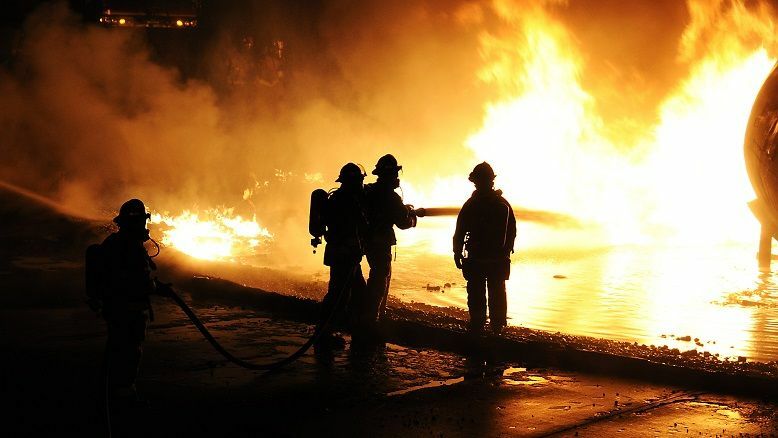 The terms were active fire protection (systems which protect structures and people including sprinkler systems, fire extinguishers, smoke alarms), passive fire protection (whereby the spread of fire is slowed or contained through the use of fire-resistant walls, floors and doors, amongst others), fire resistance (a set of products that prevent fire spreading to other parts of the structure), and reaction to fire (methods designed to help people escape from fire). While one in three architects (35%) were unable to correctly define the concept of active fire protection, when asked about fire protection options they’d considered in projects, smoke alarms were named by 38% and sprinklers by 33%. Just over half (52%) of all architects couldn’t give an accurate definition of passive fire protection, where fire protection is ‘built in’. However, 54% did cite fire doors as a consideration, which is part of the passive approach. Passive technologies such as flame retardant treated materials (e.g. firewall) were considered by over a quarter (29%), plasterboard by 21%, and plywood/OSB by 8%. 58% of architects were unable to explain what ‘reaction to fire’ is and almost three quarters (71%) were unable to define fire resistance. None of the architects interviewed said they’d had comprehensive fire protection training, most had some training and 8% say they’ve had none. Architects and interior design firm gpad london has looked at fire safety, commenting on their procedures. Jeremy Wiggins, director from the firm says, ‘Fire kills. It’s part of our duty to make sure we design safe buildings. We had a look at the RIBA fire safety consultation and tweaked our processes. We make it part of our design thinking from day one, involving end users and fire consultants as soon as practical. Beyond this we make sure that each project has a named person for fire safety responsibility.